The video marketing industry is a booming industry and audiences are enjoying videos more than blogs and articles. It is simple when you use a video to promote your business, brand, event, product or service with the help of marketing tool. This also helps to boost online presence and conversion rates, apart from satisfying people’s information and entertainment needs because a one minute video is more than a million words. 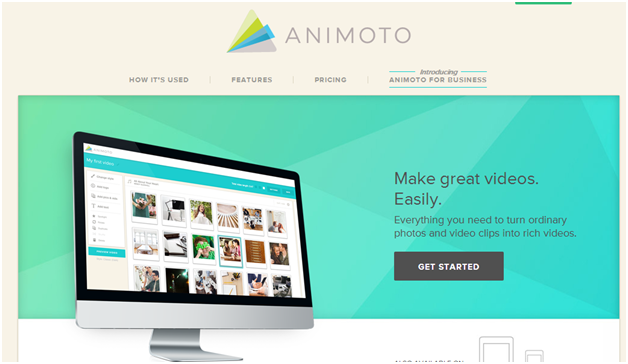 Animoto automatically create amazing orchestrated and unique videos using your photo, clips, music and images. It is an awesome application that can save a lot of time, effort and work when you are creating video marketing campaign. It syncs well with major social sites like Facebook, Picasa, Flickr, Photobucket and Smugmug. It’s basic plan is free that gives you unlimited access to create 30-second videos, with HD option and 600+ music tracks to enhance the video. Blender is a free open source application that allows you to transform your videos into animated showcases complete with mesmerizing visual effects and interactive features. Blender can also help, if your goal is to cheer your viewers with spectacular presentations. This PC and Mac desktop software is the market leader in the screen capture video world. Screencast videos are a great way to demonstrate how something online works. It has some nice features that allows you to add focus to areas on your screen as well as annotations and URLs. One very useful feature is SmartFocus which allows you to zoom in and out, as well as pan. Zooming in is especially important for videos, since more people consume their Facebook news feeds on their mobile devices. Filmora (Wondershare Video Editor) is a software that gives you the chance to perform basic edits like trim, rotate, brightness, contrast, speed, audio edits, and advanced effects like Picture in Picture (PIP, also called a Video Overlay, is when two video clips share the display screen at the same time, one smaller and superimposed on a larger image) and Scene Detection. Filmora also comes packed with an extensive music library, overlays, filters, and texts to help make your video stand out. This tool helps you combine images and create short videos stories in few minutes. 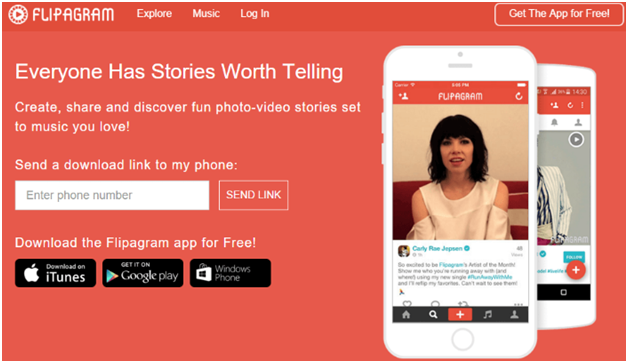 Flipgram allows you to create interesting slideshow, musical videos, lip-syncs and stop-motion with many music tracks. You can record voice narration, choose from Flipagram’s music or upload 15 seconds of music you already have on your mobile device. It's really easy to use and will be perfect for those who'd like to post their video on Instagram or Facebook. GoAnimate is simply amazing tool that allows you to make your own professional animated videos using characters and sets of your choosing. The results are absolutely beautiful, you first get to choose from their selection of themes, and then you start creating. After choosing a background, you can add characters, props, text and much more and end up creating a beautiful animated video in a matter of minutes. Magnetvideo delivers complete B2B video marketing solutions that help marketers increase the effectiveness of their content marketing and lead generation strategies. 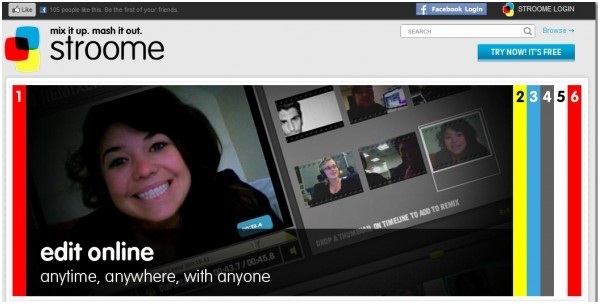 It offers cloud-based video streaming across web, mobile and social networks. It also helps you develop multi-channel video marketing strategy that improves your over-all corporate image. Magisto is a free app that automatically turns your everyday videos and photos into beautifully edited movies. It uses its own emotion sense technology to create a video. It is perfect for sharing on social channels and using in video ads. It also creates short, entertaining videos from your raw footage. It allows you to add titles and music to jazz things up. Powtoon is highly recommended for marketing to create quick and intuitive message bites for engaging viewers. It is a free solution for creating presentations and animated videos, which can be embedded on your brand website and shared social media channels. You can choose from a wide range of templates, characters, backgrounds and transitions. This is an interesting take on the slide presentation as it allows you putting all of your information on one slide and then zooming and panning to highlight key points. You can create a captivating, entertaining and informative presentation video. It provides facilities to create video slideshows or music videos from your existing photos, music or video clips. There are also widgets and badges so that you can embed the clip onto a blog or website. It also provides facilities that you can directly post your new slideshow onto Facebook, Twitter, Instagram, YouTube, and Pinterest. Stupeflix amazingly allows 20-min long video for free that can be shared on major social networks without much hassle. It allows you to create videos in a few minutes because it gathers up pre-existing images, videos, music, presentations, maps, and social networking channels like Facebook and Instagram. Its interface is very friendly and easy to use, even for those who are new in video marketing. It also comes with 16 different themes. It is really intuitive and will help you make fantastic videos with the stop-motion technique. You can watch and edit your video frame by frame, and use the app's brand new thumb menu to control all the edit options available for each frame. You can create doodle animations that are fun, engaging and can communicate your message in a clear manner. All doodle in this tool are custom hand drawn. It’s not the cheapest route, but it is certainly one of the best ways to create a one of a kind video that is simply hard not to watch. You will also benefit from professional voice-overs and help in script-writing. It can be bit expensive. Stroome provides the facilities that you can upload your own content and then use material from community members to improve it. Strong social and interactive components have made crowd sourcing one of the hottest concepts on the web. It leverages this concept to create a lively video-based community. It is a comprehensive animation software program that lets users create whiteboard-style animations automatically. 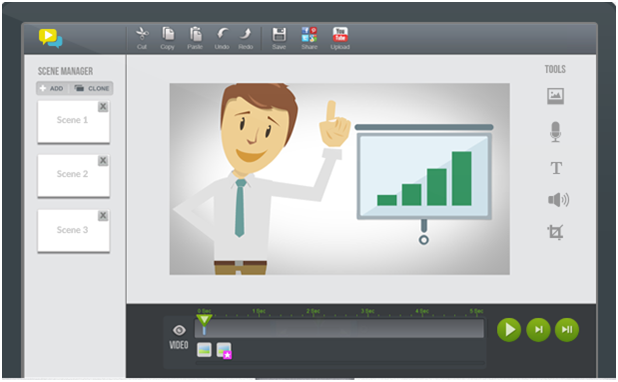 Many marketers, graphic designers, video makers and promoters are making use of VideoScribe to create whiteboard-style animated videos that are really powerful. Videotoolbox is not only free but also analyses your video files and displays detailed information about the codec, bit rate, frame rate, resolution, etc. It can process up to 600MB file and converts video into all popular video formats. Features like adding watermark, cropping, merging files, thumbnail of created videos are all available with Videotoolbox. Vidyard is a great tool for video marketers who want to generate more revenue and get detailed tracking and analytics. It provides facilities like attention span of viewers, click-through behavior, and the location of viewers where your videos are shared, and how videos can give your ROI a boost. Viewbix is a tool where you can create an interactive video in just three steps which should only take about five minutes. This is accomplished by simply adding a link to your video, branding your video by inserting your logo and call-to-action buttons, and finally choosing apps to help you achieve goals like lead capture generation. It allows you to create your video and then add calls to action and other interactive apps throughout the video. WeVideo allows you to capture and edit beautiful videos either for your business or for personal reasons. WeVideo uses cloud-based editing technology to improve video quality. Also, being cloud based, it can be accessed virtually anytime, anywhere. You can create texts slides, crop your photos and edit your audio files. One of the most appealing components is that you can invite team members to collaborate and contribute on videos. Wideo is an online video platform that allows you to easily create, edit, and share animated videos. It also offers personalized video technology so you can launch retargeting campaigns and personalized marketing more effectively. It gives you the option like tutorial or product demo by letting you add your logo, images or even background music. Wistia is not only a video creation tool, but also hosts videos. Its hosting services are designed specifically for companies with marketing goals in mind. This helps prioritize lead generation, support marketing messaging and drive ROI. It provides the analytics you need to measure performance. It uses heat maps to show where customers stopped watching, where they skipped forward, and where they flipped back to re-watch a portion of the presentation. Windows movie maker is one that is likely already at your disposal. One of several applications preloaded on the windows operating system, windows movie maker provides the basics, in addition to advanced features such as the ability to add special effects and upload video to various websites. This is a do-it-yourself tool that uses text-to-speech and animation technologies. Lectures or presentations can be given new life. You can also load in your script and let the artificial intelligence create a video using virtual actors and cameras. Youtube Editor is one of the most popular and widely used video marketing tools that is much easier to deal with than traditional desktop editing program. It gives you a wide range of interesting editing capabilities right on the website. 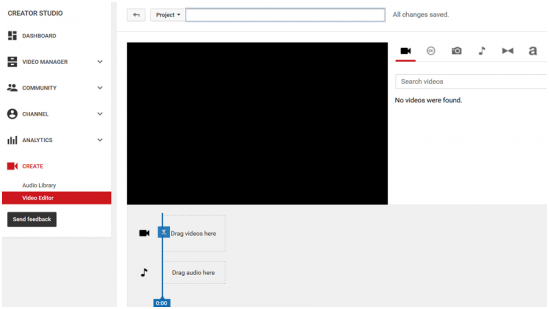 You can add transcripts and annotations to your videos to make them truly SEO friendly. There are more than enough tools to generate, guide, or let you launch the entire video campaign at an affordable price, which is great news for your budget. Use the above tools and create amazing videos to boost your ROI.